This week we have 2 brand new books to read. 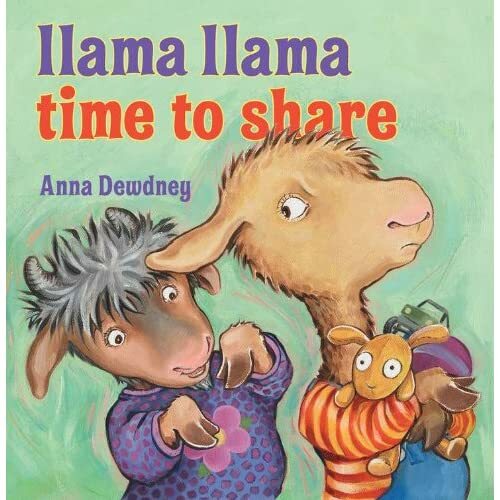 The Kindergarteners and Grade 1’s will be reading the new Llama Llama book, Llama Llama Time To Share, by Anna Dewdney. The beginning of the school year, when new friends are made, is a good time to review sharing. Llama Llama meets his new neighbour, Nelly Gnu, and she comes over for a visit. At first Llama Llama doesn’t want to share, but both characters learn a valuable lesson. Visit Llama Llama’s website for fun educational games and activities. 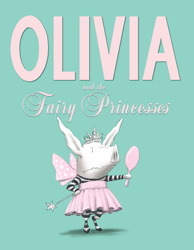 Grade 2’s and grade 3’s will be reading the latest installment of Olivia the Pig, in Olivia and the Fairy Princesses, by Ian Falconer. Olivia is a different pig, and she likes to stand out amongst the crowd. All the other girls want to be fairy princesses when they grow up, but not Olivia. This is a story about individuality. Visit Olivia’s website for more fun. This week the grade 7’s will be reading Making the Moose Out of Life by Nicholas Oldland. Moose, who is usually mild-mannered, is stranded on a deserted island and must overcome his fears about trying new things. Students will then draft a speech to present the Moose with an award for bravery. Also this week, several classes will be reading Willow’s Whispers by Lana Button. Both Lana Button and illustrator Tania Howells are Canadian. Willow is a shy and quiet girl and needs to gain the confidence to have her voice heard. Both stories this week deal with gaining confidence and becoming a stronger person. This week is Anti-Bullying week, and Wed. Feb. 23rd is “Pink Shirt Day“. The Kindergarteners and Grade 1 students will be reading Howard P. Wigglebottom Learns About Bullies by Howard Binkow. Check out Howard’s web page on bullying. Grades 2 and up will be reading Zero by Kathryn Otoshi, a story about self esteem and being yourself. Another powerful story by Kathryn Otoshi is One, where the colour red bullies all the other colours. Don’t forget to wear PINK on Wednesday!